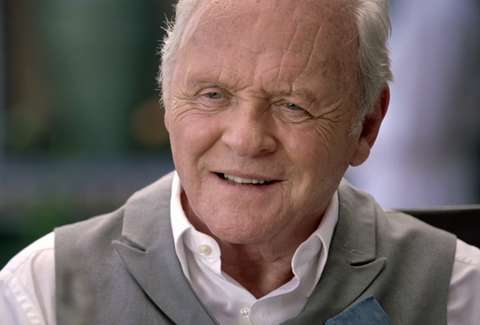 Anthony Hopkins' Crazy Speech in 'Westworld' Episode 4 Ruled, but What Did It Mean? 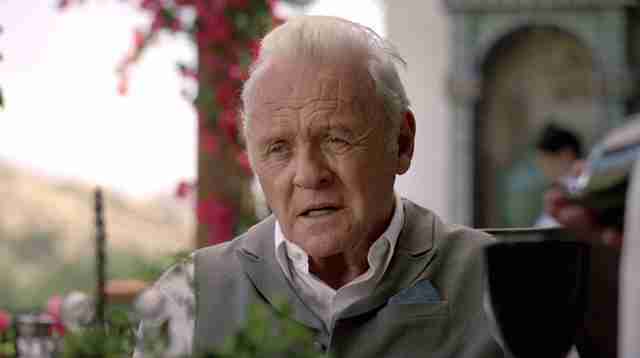 This article contains major spoilers for "Dissonance Theory," the fourth episode of Westworld. Head over to our Westworld World hub to read interviews, recaps, and theories about the show. More than most shows on TV, Westworld is spectacle-driven. Each episode of HBO's addictive science-fiction drama comes packed with eye-opening special effects, violent gun battles, and clue-filled setpieces -- and the newest brain teaser, "Dissonance Theory," directed by Vincenzo Natali, was no exception. 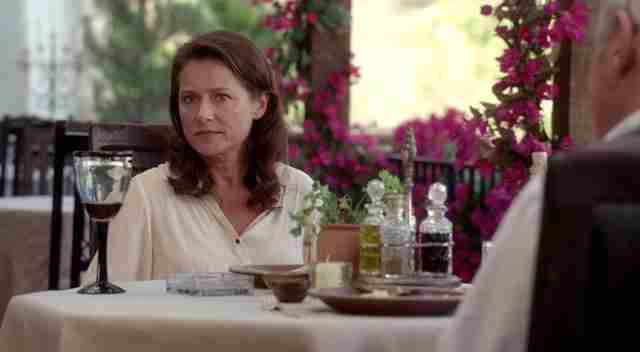 But, even amid all the visual splendor, great acting can still steal the show. 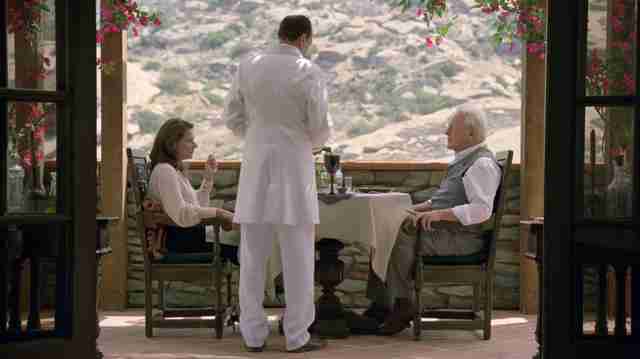 Luckily, acting doesn't come much greater than Sir Anthony Hopkins delivering a creepy monologue in a Mediterranean robo-restaurant. 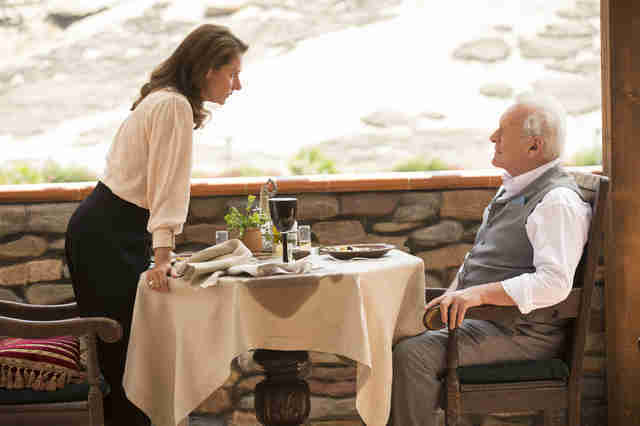 What exactly made the scene between Hopkins' Dr. Robert Ford and Westworld operations leader Theresa Cullen (Sidse Babett Knudsen) so effective? The performances, duh. An award-winning thespian like Hopkins brings gravitas to even the most dutiful exposition, but when he gets a big monologue? You better believe Hannibal Lecter chows down, letting the wine spill to the floor as he makes a meal of all the corporate intrigue. It's surprising Hopkins didn't lick his lips at the end. While the speech may have been an actorly feat, it was also a nifty bit of narrative sleight of hand. In the same way Ford can stop a complex machine with a twitch of his finger, Westworld creators Jonathan Nolan and Lisa Joy (along with episode co-writer Ed Brubaker) can pack a lot of information into a handful of lines. So, let's put Ford's big scene under the microscope and see what secrets it holds. "You imagine I've gone mad, do you? Lost my my way?" At the very top of the scene, the writers dive into a question that viewers have been asking since the pilot: is Ford a little crazy? When the show began, it was easy to view Hopkins' character as a dapperly dressed update of Richard Attenborough's John Hammond from Jurassic Park, trading the safari fedora for a cowboy hat but keeping the kindly grandpa demeanor. They even had the same twinkle in their eye. But ever since Dr. Ford drew blood from a robot by cutting its face in Episode 2 and scrapped a previously planned narrative for his own mysterious creation, his character has taken on a more sinister vibe. Can we trust anything Ford says? Probably not. Is that going to stop us from reading too much into everything he says? Uh, no, it won't. "You don't like this place very much, do you?" What elevates this scene from run-of-the-mill bullying to supervillain levels of manipulation is the way Ford preys on Theresa's childhood memories of the park. Throughout the scene, she comes to realize that she's sitting in the exact same chair she sat in as a young girl, and that Ford, in a twisted bit of mind-fuckery, is about to destroy that memory right in front of her. She can't stand in his way: he's got an army of robots (plus a giant scary bulldozer thing) at his service. How does he freeze all the robot servants? 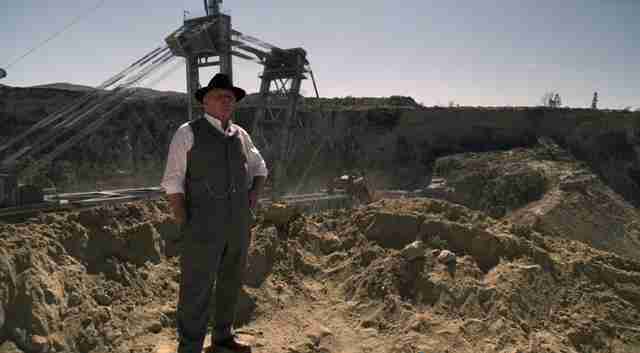 We've seen Ford use his magician-like Jedi mind-tricks on the hosts of Westworld before -- remember the way he interacted with the little boy back in Episode 2 -- but we've never seen anyone toy with the movements of so many hosts on such a grand scale. Think of how much work went into tracking, recovering, and even fighting the robot who smashed a rock on his head in Episode 3. Now think about how easy it was for Ford to freeze every android in the villa. Creepy, right? How did he do it? If you watch the scene carefully, when the servant starts moving again he makes the smallest little finger gesture. It looks like he just lifts his finger and the servants, along with the workers in the fields, suddenly spring back to work. Is this a little bit of stagecraft designed to intimidate Theresa? Or does Dr. Ford really have the ability to manipulate a legion of androids with less movement than it takes to plug in a toaster? While other scenes have hinted at his powers, this is the first time we've been given a sense of how dangerous Ford might become. Westworld rule No. 1: don't piss off the guy with the finger-controlled robot army. Hopkins is the best. Seriously. But also, his line about Bernard -- "he has a sensitive disposition" -- both suggests that Dr. Ford has taken a keen interest in the sexual shenanigans going on between his employees and adds more credibility to the increasingly popular "Bernard is a robot" theory. If Ford was looking to get an upper hand on Theresa, what better way to undermine her position at the company than by having his trusted robot mentee sleep with her? Is Bern-arrrd little more than Ford's bearded sexual spy? "But they already have -- I thought they would have told you?" Throughout the speech, Ford makes a distinction between the "money men" of Delos and his more high-minded creative pursuits. "Please, don't get in my way," he tells Theresa in the least polite and most menacing way you can say please. When she mentions that the board will be sending a representative, he surprises her by saying that they already have. Is Ford referring to the Man in Black here? Earlier in the episode, we learned that Ed Harris' maze-crazed cowboy is a wealthy man with a generous charitable foundation in the outside world. Perhaps he's the Delos representative out there beta-testing Ford's next narrative? Also, if you're still buying into the "William is the Man in Black" theory, this episode also featured Logan telling William that the family's business should increase its stake in the company. Is that hinting that the Man in Black got in on Westworld from the ground floor? What do we know about Ford's final narrative at this point? Probably about as much as we know about where the plot of Westworld is going, which is very little. You can bet it involves the maze, the black church steeple, Wyatt, the creepy death cult, Teddy's haunted backstory, Dolores, and probably the Man in Black, but the show has been very careful not to tip its hand in any particular direction. Instead, like Hopkins, Jonathan Nolan and Lisa Joy are content to move their fingers slowly under the table, sending us all scurrying with even the smallest gesture. Dan Jackson is a staff writer at Thrillist Entertainment, and he believes Anthony Hopkins is the puppet master behind this whole thing. He's on Twitter @danielvjackson.